She’s not here for it. 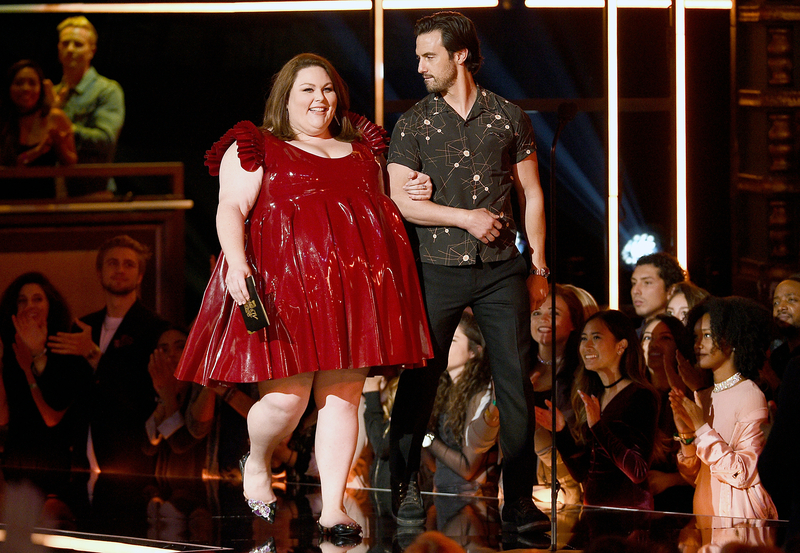 This Is Us‘ Chrissy Metz hit back at body shamers on Sunday, May 8, after she wore a latex dress to the 2017 MTV Movie & TV Awards. See her ensemble in the video above. “For the record, I wear what I want, when I want. News flash it’s MY body. #thankstho,” Metz, 36, tweeted to her followers, without pointing out the negative comments she apparently received. The American Horror Story alum wore a dark red knee-length dress with ruffled sleeves to the big event, which she attended with her costars Milo Ventimiglia and Lonnie Chavis. The NBC drama was nominated in four categories and won the MTV Movie & TV Award for Tearjerker.